At Maillefer, we understand the extreme importance you place on keeping your patients comfortable. 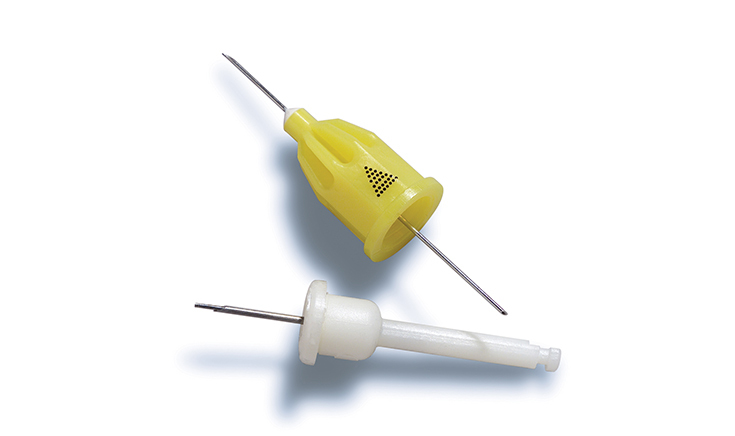 The X-Tip Intraosseous Anesthetic Delivery System lets you achieve profound numbness, even in difficult cases. The efficient delivery system guides you with confidence as you inject anesthetic through the guide sleeve directly into cancellous bone, reducing the hassle of facial and tongue numbness for your patients. Easy Delivery. Guide sleeve provides precise injection of anesthetic into cancellous bone. Easy Re-Injection During Procedure. No hunting for the hole. Convenient. Guide sleeve fits in a standard, low-speed hand piece.